What is the cheapest way to get from Clearwater to Crystal River? The cheapest way to get from Clearwater to Crystal River is to drive which costs $7 - $11 and takes 1h 34m. What is the fastest way to get from Clearwater to Crystal River? The quickest way to get from Clearwater to Crystal River is to drive which costs $7 - $11 and takes 1h 34m. Is there a direct bus between Clearwater and Crystal River? No, there is no direct bus from Clearwater to Crystal River. However, there are services departing from Park St Terminal - Platform - C and arriving at Crystal River via Largo Commons Walmart Shelter - D, Ulmerton Rd + 60Th St N and Tampa, Fl. The journey, including transfers, takes approximately 6h 13m. How far is it from Clearwater to Crystal River? The distance between Clearwater and Crystal River is 66 miles. The road distance is 73.2 miles. How do I travel from Clearwater to Crystal River without a car? The best way to get from Clearwater to Crystal River without a car is to line 300 bus and bus which takes 6h 13m and costs $22 - $29. How long does it take to get from Clearwater to Crystal River? It takes approximately 6h 13m to get from Clearwater to Crystal River, including transfers. Where do I catch the Clearwater to Crystal River bus from? Clearwater to Crystal River bus services, operated by Pinellas Suncoast Transit Authority, depart from Ulmerton Rd + 60Th St N station. 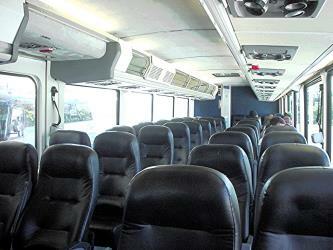 Where does the Clearwater to Crystal River bus arrive? 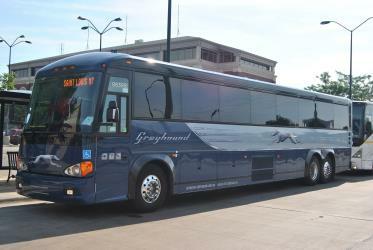 Clearwater to Crystal River bus services, operated by Greyhound USA, arrive at Crystal River station. Can I drive from Clearwater to Crystal River? Yes, the driving distance between Clearwater to Crystal River is 73 miles. It takes approximately 1h 34m to drive from Clearwater to Crystal River. Where can I stay near Crystal River? There are 52+ hotels available in Crystal River. Prices start at $86 USD per night. What companies run services between Clearwater, FL, USA and Crystal River, FL, USA? You can take a bus from Clearwater to Crystal River via Largo Commons Walmart Shelter - D, Ulmerton Rd + 60Th St N, Marion St E + Zack St E, and Tampa, Fl in around 6h 13m. Discover how to get to attractions and hotels near Crystal River. Three Sisters Springs are located on the Crystal River, in Citrus County, Florida, United States, at 28.888725,-82.589191. They are in a natural inlet on the east side of Kings Bay. They contain three spring areas that contain many sand boils and vents. The land surrounding the springs is privately-owned property and there is no landfall or boat tie-up permitted; the only access to the springs is blocked by concrete posts to stop the boats from entering. Only kayaks, canoes, and swimmers are permitted in the area. Three Sisters Springs is also home to many manatees and is one of the Crystal River's sanctuaries. Homosassa Springs Wildlife State Park is located near Homosassa Springs, Florida, in the United States. The park is one of the best places in the state to view manatees. Visitors can get close to the animals on a floating observatory. Black bears, bobcats, white-tailed deer, American alligators, and river otters can also been seen in the park. The park is also home to the hippopotamus Lu, famously known for his performances in many movies for the past 40 years. The Crystal River National Wildlife Refuge is part of the United States National Wildlife Refuge System, located in Kings Bay, in the town of Crystal River, and consists of 20 islands and several small parcels of land. The 80 acre refuge (only accessible by boat) was established in 1983, to protect the West Indian Manatee. It is administered as part of the Chassahowitzka National Wildlife Refuge Complex. Rome2rio makes travelling from Clearwater to Crystal River easy. Rome2rio is a door-to-door travel information and booking engine, helping you get to and from any location in the world. 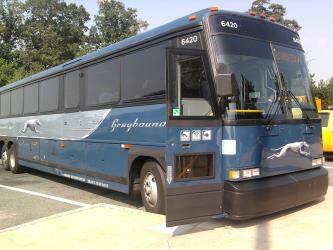 Find all the transport options for your trip from Clearwater to Crystal River right here. Rome2rio displays up to date schedules, route maps, journey times and estimated fares from relevant transport operators, ensuring you can make an informed decision about which option will suit you best. Rome2rio also offers online bookings for selected operators, making reservations easy and straightforward.